Dental implants are made of titanium alloy. They may be parallel-sided or tapered. The jawbone is prepared and the implants are placed into the jawbone and allowed to heal until "integrated" into the bone. Dental implants may be used to replace one, many or all of a patient’s teeth. 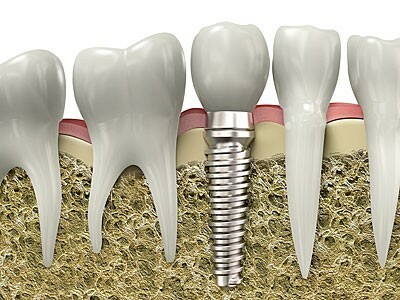 All implants placed in my practice are Straumann implants (see website www.straumann.com).